Companies large and small are leveraging the benefits of using a tour guide communication system to meet the variety of audio needs that occur within their regular course of business. TourGuide Solutions, which supplies the Sennheiser TourGuide 2020 and other leading tour guide communication systems, works with customers to source the appropriate system for their needs. TourGuide Solutions is at the forefront of trends within the tour guide communication system industry in its role as the wireless tour headset sponsor for some of the largest conferences and events in the country. 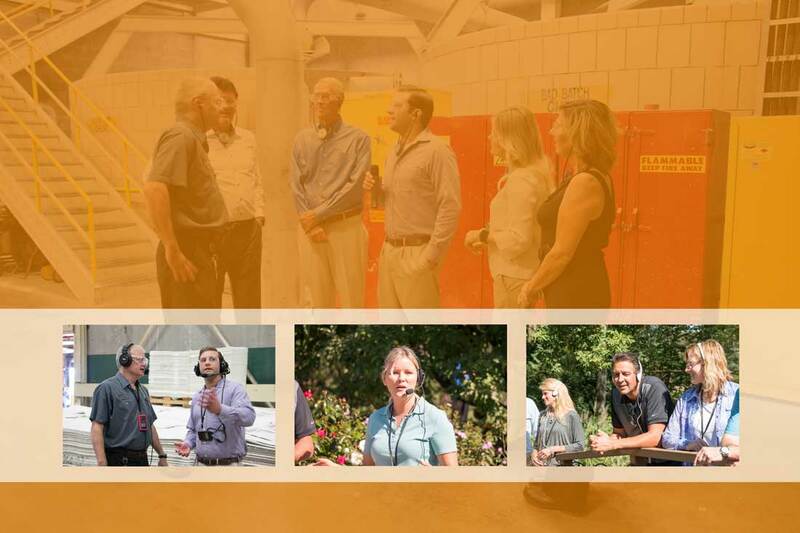 Customer or prospect tours –Make a good impression on the customers and prospects who tour your facility. Since a confused customer takes no action, savvy companies are using a tour guide system to ensure their message gets through. Lean/Continuous Improvement events –There is no better way to share information than ensuring crystal clear sound quality during tours for visiting peers or internal teams. Employee training –Loud or otherwise acoustically challenging environments create a number of challenges, especially for training small to large groups. These can include manufacturing or distribution facility walkthroughs to meeting interpretation needs in any type of environment. Daily walkthroughs –TourGuide Solutions offers a number of one-way and two-way tour guide communication system options for conducting daily workplace walkthroughs. Organizations are seeing real-time efficiency and engagement results from adding audio. Trade shows and VIP tours –Companies are maximizing their investment in expensive trade shows and other events by using tour guide communication systems to create an attractive show-and-tell format. These systems were used extensively during the plant tour component of the recent IndustryWeek M&T Conference and Expo. Contact TourGuide Solutions to learn more about how your organization can benefit from using a tour guide communication system in your operations. TourGuide Solutions offers warranty protection, with post-warranty care standard with every purchase. Next-day service is available to locations within the United States. Call 877-204-0225 or visit http://tourguidesolutions.com for more information about a tour guide communication system or to request a quote.